Garrad and I love finding different and unique places to visit and go on holiday. We’re definitely not a ‘sit on a beach for a week’ kind of couple, we’d both end up being bored silly. 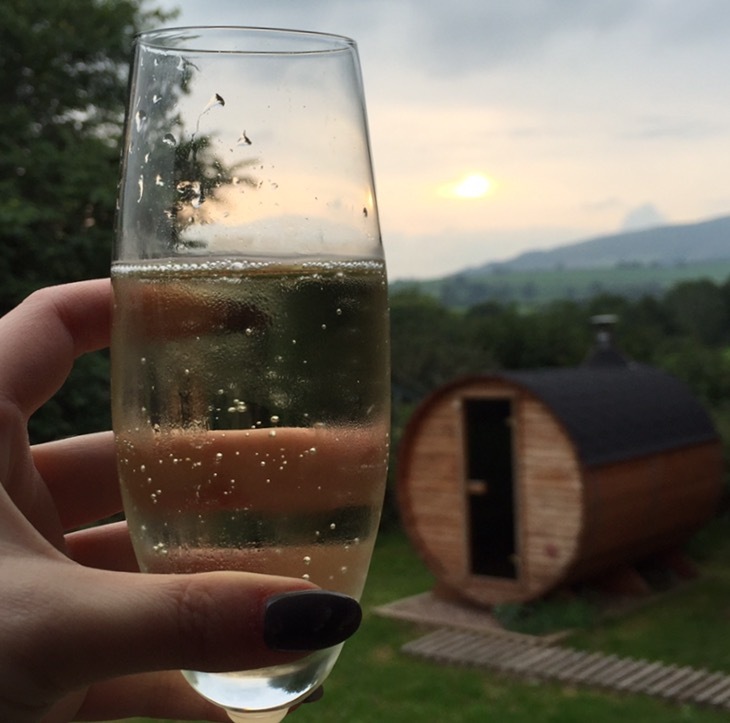 Last October we visited the Lake District and stayed in a Camping Pod for a long weekend and had the best time. So, this September we decided to do something similar, but we needed to find somewhere that would be dog friendly for our little Westie Oscar too. One night whilst browsing the internet I stumbled across the website Beneath the Stars. I was instantly drawn in and knew that we had to choose one of their many fantastic options for our next holiday. The one that stuck out for me in particularly was an old fashioned Gypsy caravan called Wind In The Willows. It was like camping, but with all the benefits of a double bed, private outdoor sauna, hot shower and flushing toilet! What was not to love? It was also only an hour’s drive from home and situated in an area that Garrad and I both love. The following week, without hesitation we booked our stay and eagerly anticipated the arrival of September. We had booked to stay straight after my Mum’s wedding, so still nursing a hungover and sore feet from dancing the night away we packed up the car with food, more wine and Oscar and headed off on our very own little adventure. We had received detailed instructions on how to find Wind In The Willows so we were confident on how to get there and luckily we found it with ease. The only problem was that we hadn’t realised we would have to leave our car at the bottom of the field, with the caravan being situated at the top... Unfortunately, our car wouldn’t have made it up the field so we had to carry all of our food, wine and supplies further than we had initially expected. It definitely gave us a good workout to say the least! The caravan is situated in a fenced off top corner of a field alongside an Eco Hut, outdoor sauna pod, picnic table and open fire pit. This was perfect for us as it enabled Oscar to run around freely within the fenced area, without getting up to too much mischief along the way. The whole area was immaculately clean and tidy, and we were provided with fresh bedding and towels on arrival which was a god send. We quickly unpacked and settled in, which was made all the more easier by the complimentary box of fresh Welsh Cakes that had been left for us when we arrived! The Eco Hut contained an open plan kitchen and living area with a small fridge and full sized cooked, as well as a lovely toilet and shower room. It was also central heated so it stayed toasty and warm in the chilly evenings. The caravan itself was essentially the bedroom and contained a raised double bed with the comfiest memory foam mattress I've ever slept on, a small wardrobe, under bed storage and a little log burner. Garrad and I tried to light the log burner on one of the coldest nights but due to our own faults we couldn’t get it going. In the end we gave up and realised that we didn’t actually need it. The caravan had thick wool curtains that provided more than enough insulation and I can honestly say from someone that always feels the cold, I never felt cold during the nights. The outdoor sauna pod was a great addition but sadly something we didn’t get around to using. It was gorgeous most afternoons whilst we were out and about and getting even hotter once we got back wasn’t something that we fancied. The sauna pod was heated by small log burner similar to the one in the caravan. It’s a shame we didn’t get around to using it though as its such a fab and unique concept. 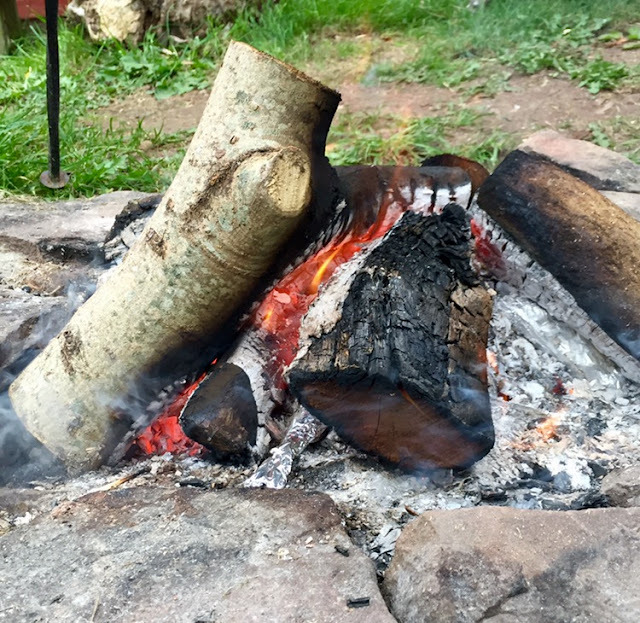 We had the log fire going every evening and it was bliss to just sit outside, all cwtched up in a blanket with a glass of wine, no phone reception and just watch the world roll by. We did also take my laptop and a few DVD’s to watch in the evenings when the weather wasn't so great. There was no charger in the caravan so we had to charge the laptop and our phones when we were around during the day in the Eco Hut. We stayed for four nights at Wind In The Willows and spent our days exploring Monmouth, Abergavenny, Tintern Abbey and The Forest of Dean (which are all dog friendly which is massive thumbs up). It really was the perfect little stay-cation. On our last night we went to Restaurant 1861 which was about five minutes away by car on the road into Monmouth. We had the best meal there that we’d had in ages. The food was honestly out of this world good. If you’re ever in the area, we’d highly recommend it if you’re a bit of a foodie like us. Our glamping beneath the stars’ experience was one we’ll never forget, we honestly had the best time and we’ll definitely be back in the not too distant future. If you’re after a little holiday with a difference, I would definitely recommend an escape to Wind In The Willows.